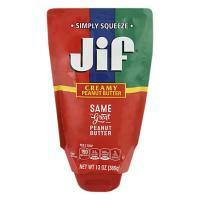 New peanut butter Jif® Power Ups are the fun, new snack parents and kids will love! Available in a variety of delicious flavors in both bars and clusters. I love Jif Peanut Butter, Crunky Style. My favorite and you would never find another brand in my pantry.